There is a woman who bike commutes in my neighborhood, and we have almost the same work schedule and we live and work very closely to each other. When I leave work to walk to my bike, there she goes, pedaling by. Sigh. This woman vexes me to no end. I am faster than her on the flats, because I am fairly speedy on the flats. But she is faster than me on the hills, and because we have the same route and she is not particularly friendly, when I see her, I drag my feet a bit so our commutes don't bump into each other. Otherwise we'd be a tag team of passing, being passed, passing, being passed. No fun. Yesterday, I rode in to work and I was a bit late, so I saw her in the morning for the first time. 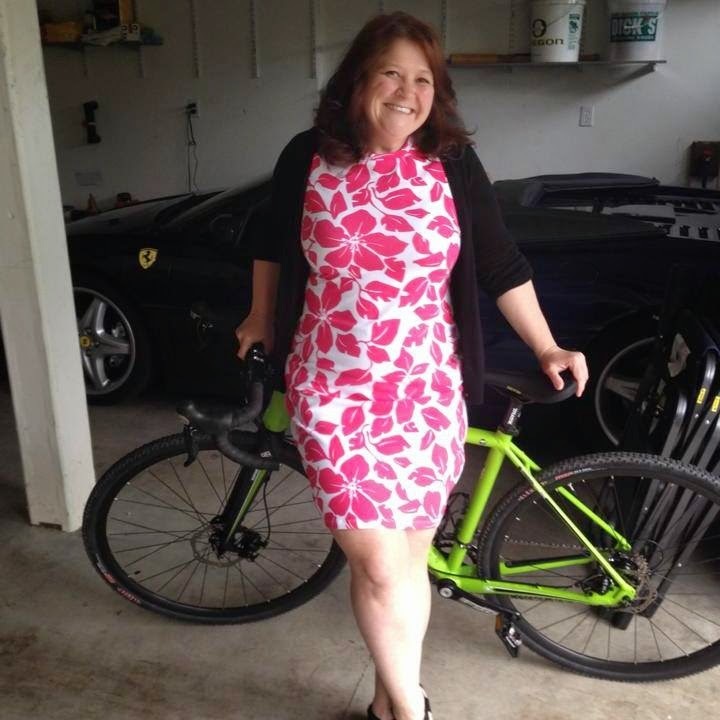 I was already done riding, showered, dressed, and crossing the street to my building when she pedaled on by. I nearly threw a fit on the street: she gets to work later than me, she leaves earlier than me, she is faster than me, she is younger than me, she is prettier than me, she has the sculpted biker calves I crave, while I need to go buy new fall boots to fit over my monster calves. Seeing her pedal by rocked my apparently fragile commuting state of mind, haha! 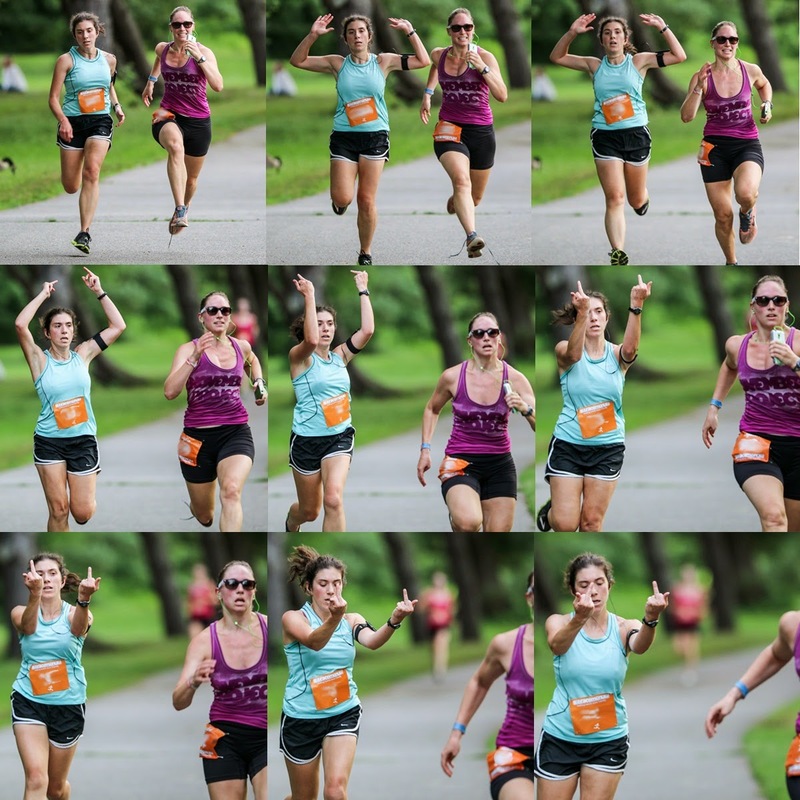 So I know the angst this runner is feeling when she is about to celebrate her finish, only to be blown past by some fresh-faced dynamo who obviously still has a lot of gas in the tank and wears cool shades, to boot. Oh, I feel your pain, sister! I was telling a friend this morning that my family is probably about to revoke my biking privileges, anyway. School is about to start, and school + bike to work is a tough combination. I am wracking my brain trying to figure out how to make it work, ugh. I think I can do it. My goal is to extend my bike commuting season by at least a couple months this year: last year I exhausted myself and bailed early, really too early in the season. This year, if I can figure out a workaround for getting my youngest to school, I will be okay. It is a challenge, though. I wiped out on my bike yesterday, thus proving that it is in fact a death trap. It wasn't a bad wipeout: I hit a patch of fresh gravel unexpectedly and my tire sunk into it and I was thrown from the bike at a low speed. Road rash and some bruises. A sore shoulder where I clonked into my cross bar. One of the hazards of logging so many miles on the same stretch of road and path is that it becomes overly familiar, and that's what happened. You can ride it like a mind-wandering zombie if you aren't careful! And that's pretty much what happened, I took the little shortcut from bike path to roadway and as I pedaled onto what should be a potholed dirt driveway mess, my brain thought, "hey did they put gravel in these potholesssssssssss..." and BAM! thrown off my bike. Oops! Today I rode my bike to work in the rain (yay, me!). Not rain, really, a warm drizzle. Dark and rainy enough that I am shopping for fenders for Jake and clear-lensed bike glasses for me today. It was rainy enough that G was surprised I was biking in, and he was a little disappointed, too, because rain = no motorcycle and no motorcycle = no carpool lane bridge unless he has his little woman by his side to commute with. I will not pretend that I won't be under some carpool-with-me-not-Jake pressure, there, too, as the weather changes. Me, me, me. I need to think of me. I sold my first road bike yesterday: it was a bittersweet occasion! I'm glad for the extra space in the garage, and my new man Jake the Snake is plenty of bike for me. But the Carema was a great first bike and I really liked it a lot. I was so excited when I bought it. Still, being the emotional sap I am, I did get a little teary-eyed when it left. But I love my Jakey lots more than I ever did this bike, so it's cool. I wanna be an Iron Girl, I've decided. Well, I wanna be a half Iron Girl, anyway. Completing the full thing just seems inconceivable to me! We happened to be in Couer d' Alene last weekend the day before the Iron Man competition and I had event lust like I have never had before! I wanted to be there the next day to watch it start...to watch it finish. I wanted to be in it! That's a lofty goal, considering I ran a block or so with Reid the other day, and besides peeing my pants, thank you very much, old lady bladder, I was also winded and stiff. Hrumph. Maybe the Iron Man is outside my range. But it did at least really get me thinking about triathlons, which I know I would love. Except for the water temperature part...I'm not really much for cold water. But I could totally do it. In the works, then, are early planning stages for some 2015 triathlons. In happy biking news, I am still commuting regularly to work on my Jakey, who will hit his 200th tracked mile in the next couple days. I say tracked mile because shortly after I got Jake, my Strava app crapped out on me several times, which irritated the snot out of me, because it's how I track my cycling mileage. I am so glad I bought that bike! I just love it. What is funny, though, is that immediately before I bought Jake, I had bought panniers for my road bike. I had just gotten used to them, but I tell you...Jake is too pretty for panniers. If you're this good looking, you don't need accessories. I just can't bring myself to put a rack and panniers on this baby. Can't do it. I've been wearing my backpack, and it's time for me to get a real cycling backpack instead of my Old Navy kids' backpack. That's next on my shopping list! Last week, it was a scorching 90-something degrees one afternoon, and I pretty well killed myself biking home. Ack! So hot. I did not have it in me to extend my route, and I also had to get off and push Jake up the last hellacious hill, so tired was I. It's going to be warm this week, too, so I am strategizing by drinking lots and lots of water all day and reminding myself that it's not a race, it's a bike ride. But I like to ride, and I like to ride fast! 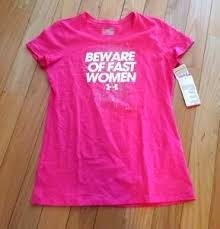 In so many regards, I'm just a fast girl. That's why I bought this shirt the other day, hahaha. I never buy shirts with writing and I have bought two in the last month! 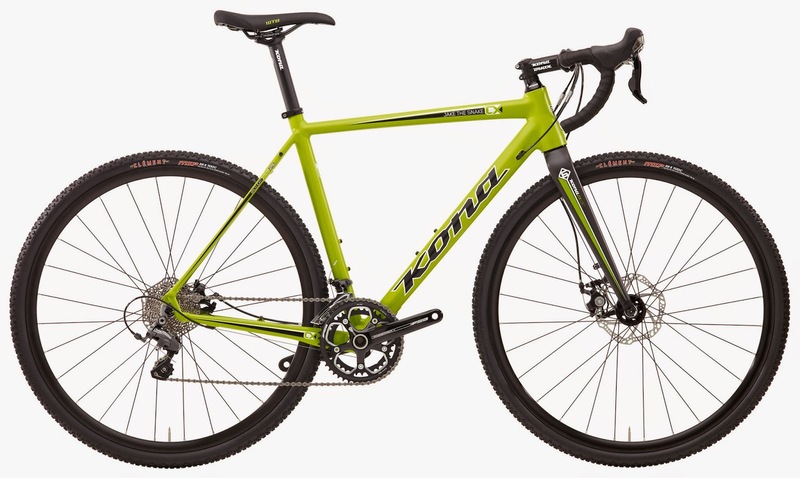 I have a giant case of bike lust. Meet Jake. 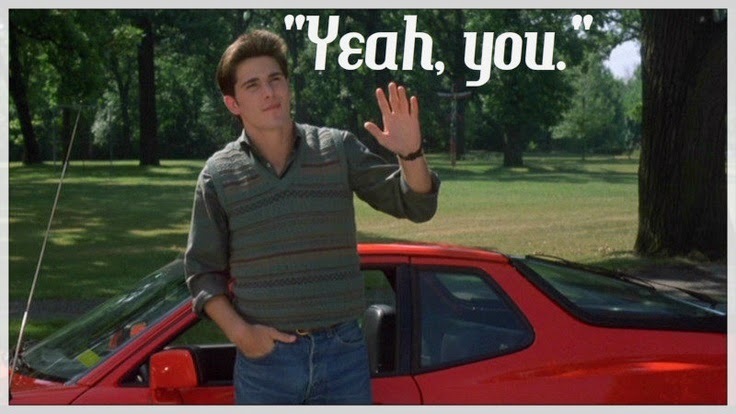 You remember Jake from Sixteen Candles, right? I always knew you'd come for me, Jake. Well, he was one "Jake crush," and here's the other. Meet Jake the Snake. How much do I need a bright lime green bike named Jake the Snake? Uh, bad. Real bad. Okay, there's only one Jake the Snake available in my size on the whole freaking west coast. And it's in Portland. It literally has had my name on it for over a week while I hem and haw about shelling out that kind of bank for a bike. I have drivers ed and football and soccer and, and, and to pay. But you know what? Mama wants a new bike!! I told the bike shop this morning that I would see them at 10 a.m. tomorrow, if I could pull together all the details. Um, the details are filling up the gas tank and pulling some benjis out of the bank. I think I can do it! Spring has sprung!! I have been enjoying riding my bike home after work, and as the weather picks up I am committed to riding at least three days per week. It is glorious - really, there is not much more fun things to do than ride a bike. Seriously. That's 76 miles I didn't log on a bus this month. Okay, this is a goofball picture. It wasn't a great eating week, anyway. G and I went out of town for the weekend, and while I largely kept my eating in check, there was too much snacking and too much food, in general. I confess I am not eager to face that bad ole scale at all. Yesterday's ride was glorious, too, although it was 7 degrees cooler than my last ride (50 degrees versus 57) and I learned that seven degrees matters. I was chilled for the first maybe quarter of the ride before my body warmed up. And then I was just GREAT, even across the long Lake Washington bridge, which I had feared would be windy, but really wasn't. Rock Soccer is freaking exhausting. He kicks the rock, I chase it. My favorite: Competitive Wine Soaking. The scale continues to be an enemy this week, but I am resigned to the fact that I need to make some unwanted changes in order to see the results I want. This week, I would say my eating was pretty good - I am getting lots of protein and not terribly many carbs. Not too many sweets, either. Also, G's mom stayed with us for a couple days last week. Again, my shortcoming, not hers. This was a great visit, just a couple nights in duration. I have never had house guests before, never had family that lived out of town (that I am close to) and for whatever reason, this is just stressful to me. I think I'm a head case. :) I also continue to feel like I sometimes struggle with my first grown-up relationship, wherein I attempt to have everything my way all the time and...I am sometimes denied. WHA?? Anyway, I have never been much of a drinker but I feel myself falling into this "glass or two a night" trap that I think affected the scale this week. G has a drink or two in the evening, it is easy to join him, especially when I am feeling stressed. Chill, baby. Bike season is here. Aw, baby, I've missed you soooooooooo much. Well, I did get on that scale yesterday morning even though, again, it was the last thing in the world I wanted to do. I thought about skipping it, actually. Tuesday night had just SUCKED and I had fallen asleep feeling very sorry for myself, then I had lain awake from, oh, about 1:00 a.m. to 4:00 a.m., still feeling sorry for myself. So getting on the scale was not high on the list of ways I wanted to make myself feel good on Wednesday morning! But I did it anyway. My logic was, it wasn't going to be any more fun on Thursday morning, haha. Whatever. Maybe this is just what I weigh. But now I'm going to stop talking about my sucky week and my sucky weight and I'm going to say that yesterday I rode my bike home and it was heavenly. Beyond heavenly, it was just magical. How on earth can bike riding be SO FUN?? I just love it. I may not love it in a wow, it's 42 degrees outside and pouring down rain, I think I will go ride my bike home from work in the dark way, but I absolutely LOVE it in a WOW, IT'S FIFTY-SEVEN DEGREES AND GORGEOUS OUTSIDE AND I AM COUNTING DOWN THE HOURS UNTIL I CAN BLOW THIS POPSICLE STAND AND GET OUT ON MY BIKE way! Sure, it's a bit of a hassle. I simply do not have time to ride my bike to work in the morning. I maybe rather prefer the ride to work over the ride home (not sure on this one as they both have their merits!). You gotta get your bike to the bus stop (wha, put on all the cycling shoes and helmet and such for a few block ride??) and then you gotta load the bike on the bus. Pause for a long dramatic moment as your forehead breaks out into a light sweat as mine does...will there be space on the bike racks? Will it be easy access front space, or oh ufck, it's the hard back space(s)? Will cars honk? (Ok, cars don't usually honk, but mightn't they, one day? So much packing involved. Yesterday was a very last minute decision to ride my bike. G wasn't going to work, it was supposed to be a very sunny day, and I needed to lift my spirits. Why not? My bike was not prepared, though, and neither was I. Bike shoes needed to be located, helmet dug out from a moving box in the garage. Tire pressure added. Stuff. What to bring? What not to bring? And hey, I was riding through the most perilous part of my commute, the International District near the bus tunnel, a street fraught with buses and train tracks and pedestrians and cars and turn lanes and taxis and bums and OH MY GOODNESS that one block stretch of road is just STRESSFUL. And at the height of it, I kid you not, a fan man yelled out, "Go, Julie, go!" as I passed by. I know a lot of people downtown, I would say, having worked here for half my life. And I will probably not ever figure out who yelled out to me at that busy train station bus stop unless they mention it in passing. But on a perfect sunny day, when I was so super happy to be back on my bike...well, heck, that just made my day.